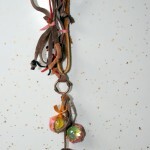 Home » Accessories » Don’t lose your marbles! 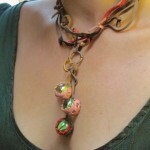 keep them safe around your neck with this unique and lovely necklace. 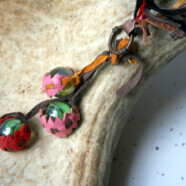 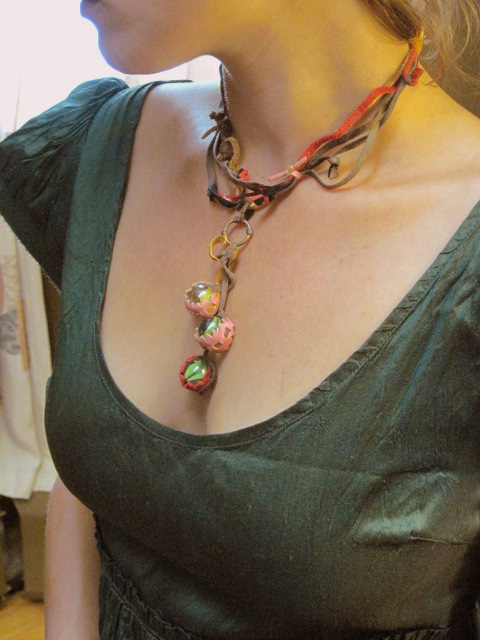 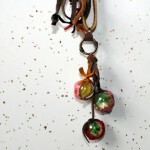 Made from old marbles and scraps of leather, this necklace evokes peter pan even in the most grown up of grown ups. 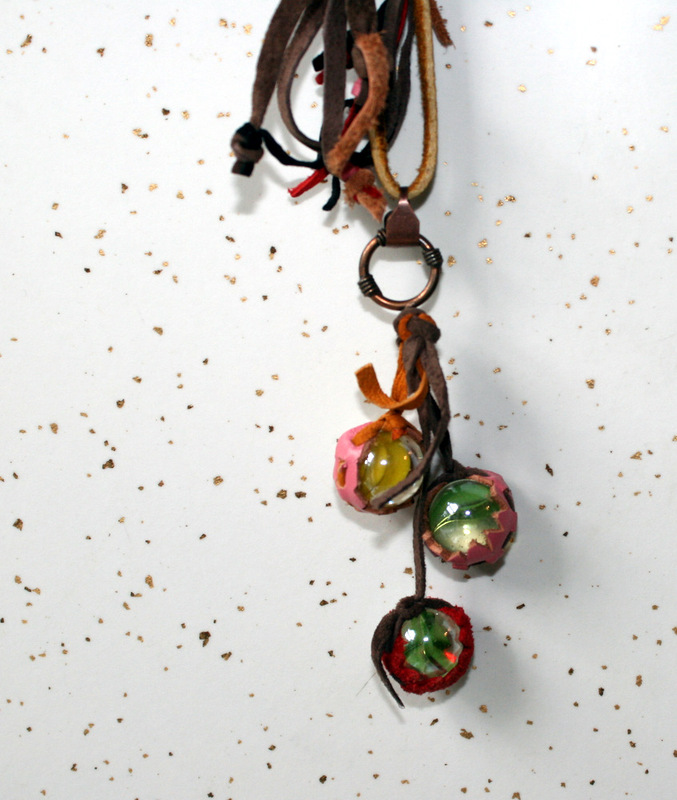 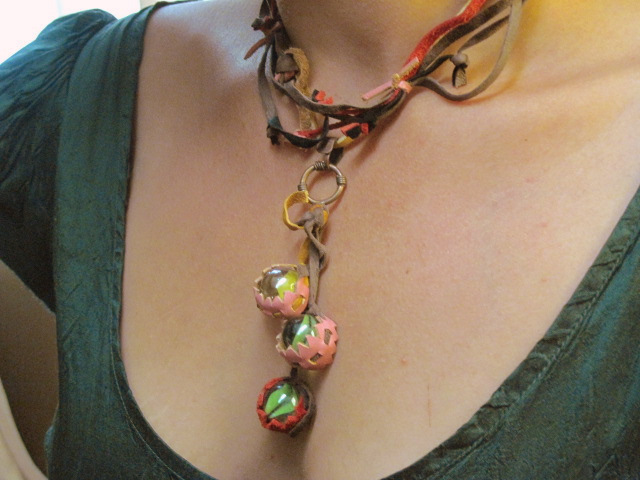 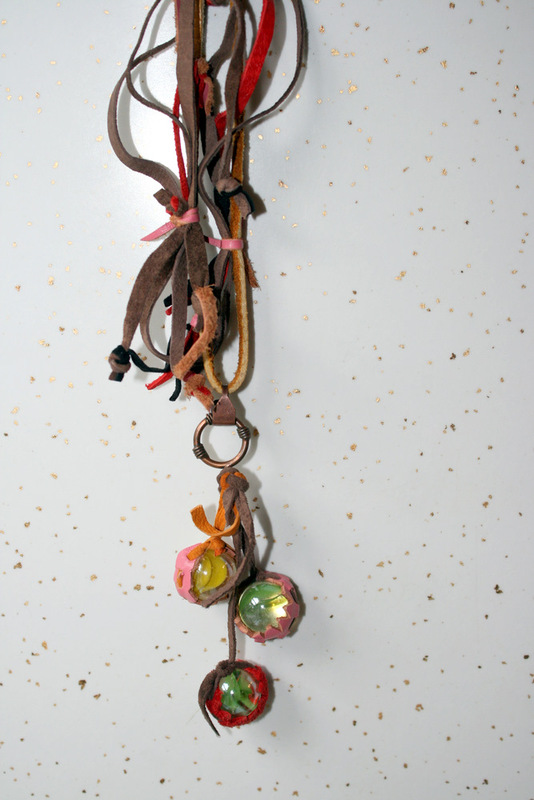 Pink, red and yellow leather grasp green and yellow marbles and dangle asymmetrically from a wonderful tangle of leather strands that hold the necklace lovingly onto your neck.